New Delhi, India: The recent report by the group of account holders of the country's nuclear weapons has revealed a shocking disclosure about Pakistan. According to the report, Pakistan is on the path to becoming the fifth largest nuclear weapon in the world. According to the report, Pakistan currently has 140 to 150 nuclear weapons, and if Pakistan's speed on nuclear weapons becomes similar, Pakistan will have 220 to 250 nuclear weapons and reserves by 2025. Hans M Christensen, Robert S. Norris, and Julia Diamond said in the report 'Pakistani nuclear forces 2018' that the US Defense Intelligence Agency had estimated 60 to 80 nuclear weapons with Pakistan in 1999 and claimed that Pakistan will enhance nuclear weapons to 140 to 150 by 2020. But according to the recent report, Pakistan has 140 to 150 nuclear weapons, and by 2050 it will be 220 to 250 nuclear warheads. According to a Pakistani nuclear force report of 2018, if it happens then Pakistan will be the fifth largest nuclear weapon in the world in terms of nuclear weapons. It is worth noting that Chief Author Christensen of this report is the Director of the Atomic Information Project with the Federation of American Scientists (FAS) in Washington, DC. 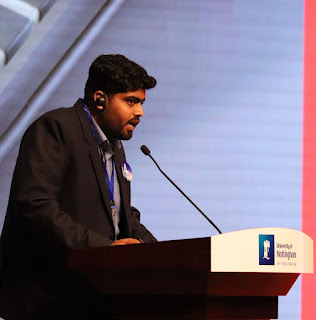 It has been said in the report that Pakistan is constantly promoting the production of nuclear arsenal and manufacturing of FISIL material along with its more nuclear weapons, more distribution systems and more delivery systems. At the same time, Pakistan is paying special attention to the development of nuclear weapons equipped missiles. According to the report, Pakistan is strategically developing new short-range nuclear-capable weapon systems to face military threats. 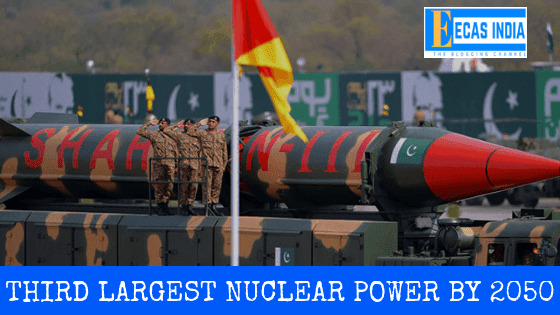 The report says that there is speculation that with a nuclear, after a decade now Pakistan can be the third largest nuclear weapon in the world. But, it is said to have been raised and said things. Because if Pakistan wants to achieve this achievement, it will be required to build two to three times faster than the development of the past.